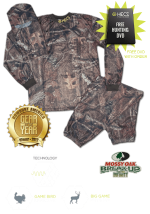 Product details and options are clearly designed by hunters who spend plenty of time in the field. I saw prototypes attached to the bows of staff members. 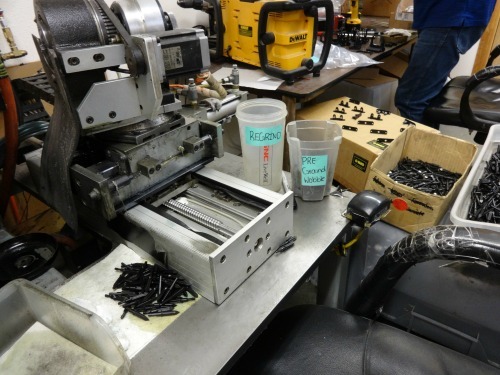 I watched as employees hand-spun Terminal T-Lock broadheads to see if they were balanced. If a broadhead wobbled, it was put aside in the “reject” container. Hand spinning of each and every broadhead is done at three different stages for every single Terminal T-Lock broadhead manufactured before it is packaged for the consumer. I saw the Terminal T-Lock Broadhead sharpening process, as well. The machine that puts a shaving sharp edge on each broadhead actually polishes the edge, instead of grinding it. This polish sharpening process makes for a smoother edge by eliminating the burr on the cutting edge. It makes it feel less sharp to the skin on your finger, because there is no roughness to the edge, but check it on your thumbnail and it catches instantly. Shave some hair and you know these broadheads are sharp! All of the various bow sights, arrow rests and quivers are made with the same demanding quality assurance practices. Dan Evans, the owner and inventor, designs these products not only for highest quality, but for detail-oriented functionality in actual hunting conditions. Dan’s passion is elk hunting. 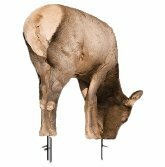 You can see his elk mounts that are hung in one of the rooms at Trophy Taker in the video below. All of these fine bull elk were taken by Dan on public land since 1991. All Trophy Taker products are available here at the lowest prices available and with free shipping for orders $50 and over. Click on the links below to see pricing and options for each product. The full capture containment SmackDown Pro Series arrow rest is Trophy Taker’s top of the line rest. With a new windage and elevation adjustment system, adjustments are made easily and lock down securely. Options are available to attach the rest pull cord to the upper limb, lower limb, or up cable. The SmackDown Pro comes with an unconditional life time warranty. Trophy Taker makes quality arrow rests for every archer’s preference. Besides the SmackDown Pro Series, there is the X-treme, Pronghorn, Shakey Hunter and Spring Steel series. The SmackDown PRO adjustment system makes tuning and locking down the rest very easy. The rest is 100% metal with a stainless steel launcher and axle that pivot inside very smooth dual bearings. The custom rubber overmolded ring has built in launcher dampeners making this the quietest fall-away rest on the market. The quick and easy cord length adjustment, and easily installed limb locator tie-offs make this rest easy to setup and tune. The full capture containment ring utilizes a flexible rubber flap to guard the ring opening and capture the arrow once it is pushed through the flap and into the ring. SmackDown PRO Series rests can be configured for attachment to the upper limb, lower limb or up cable. Trophy Taker's PRO Series rests are backed by an unconditional lifetime warranty. 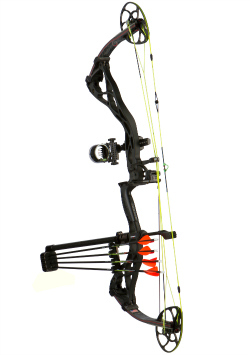 X-Treme Full Containment Pro fall-away arrow rests are very quiet, compact and lightweight. The launcher and axle pivots inside smooth dual bearings. The rubber over-molded containment ring option has a flexible rubber flap to guard the ring opening with full capture of the arrow. An open angled slot ring is also available. The new Option sights combine both fixed and movable pin sights into one sleek, tough, but lightweight unit. These sights provide the “option” of being transformed from a combination of fixed and movable sight, to a movable single pin. This sturdy, lightweight quiver by Trophy Maker is unlike any other quiver made. It can be mounted horizontally on your bow to act as a stabilizer, reducing the weight of the bow (replacing the stabilizer), improving bow balance and aiming stability. Arrows are stored on the correct (rest) side of the bow in the horizontal position. It converts from right to left hand easily. It can be fine tuned to balance your bow at full draw. The no-tools quick detach allows mounting in the standard upright position when that is more convenient. (Like when I sling my bow on my back during a mountain bike ride.) It holds up to five arrows. Everyone’s heard of the Shuttle T-Lock Broadheads. These heads have proven time and again that they are incredibly tough and accurate. The T-Lock system guarantees retention even through bone. They stay assembled securely, even off the arrow. The chisel type tip is razor sharp for cut-on-contact. The blades are extremely sharp. 1 & 1/8” or 1 & 3/16” cutting diameter. 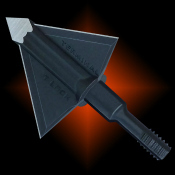 The American made Terminal T-Lock Broadhead is virtually the same as the Shuttle T, with conventional shaped blades. The blades are non-vented to avoid flight noise and better penetration than vented blades. These broadheads are each spin tested for superb accuracy. 1 & 1/16” cutting diameter. Trophy Taker’s A-TAC Broadheads are new for 2015. 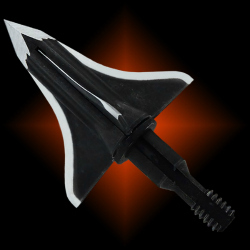 This is another tough broadhead option engineered for accuracy and maximum penetration. Ventless, cut-on-contact razor sharp blades. 1 & 1/8” and 1 & 3/8” cutting diameter. They come with standard thread or Deep Six threads. They come in threaded or glue-in for Deep Six. All Deep Six models have a stainless steel collar that slips over the arrow shaft to reinforce the arrow’s strength. The glue-in option for the Deep Six heads can be optimized for FOC (Front of Center) with segments that you can break away at 10g each. They can be trimmed from 225 grains to 175 grains. You would think field tips are field tips, but Trophy Taker saw a problem and fixed it! Do you tighten your field tips before every shot? These field tips have a secured O-ring on them designed to snug up the tips in the insert. The tips are easy to thread in and out, but they stop the rattle by preventing them from loosening up.